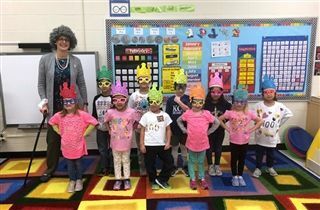 On February 1, lower school students had an amazing time celebrating the 100th day of school! Many students wore special shirts they made or dressed up like 100-year-olds. Throughout the day, students participated in activities involving the theme of 100, including STEAM activities and counting the 100-item collections they prepared for the day.